(Click this link for a blank ATF Form 1 that is can be completed on your computer with instructions) When you submit your ATF Form 1, be sure and either print it double sided or copy the second page onto the back after it is printed. You will also notice that there are 3 copies of the ATF Form 1 so that when you complete the first, it will automatically complete the second and third. The first 2 are sent to the ATF and the third is sent with the CLEO notification.. Here is a Sample ATF Form 1 for a Gun Trust that has been completed. It can be used as a guide to check and make sure your form 1 for a Gun Trust is filled out correctly prior to sending it to the BATFE (ATF). BATFE will no longer accept older versions of the forms. Older forms have the WV or GA address on them, ATF recently updated the address to the same address as is used on the Form 4’s. 2 – For a Gun Trust or Corporation select the middle box which says Trust or Legal Entity. 3b Should have your Gun Trust name and the address where the item will be stored, not necessarily the address of your Gun Trust. The address or location where the trust was created is the address where it was created and nothing more. 3c Should contain a street address if you plan on storing the Firearm in a PO Box. 3f is generally blank unless you want to submit your email. 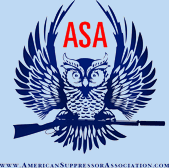 4a Should contain the Manufacturer’s name or if you are the manufacture, the Gun Trust’s Name. 4b should contain the type of firearm (Suppressor, Short Barrel Rifle, SBR, Short Barrel Shotgun, SBS, AOW, DD). Here is a sample form you may use to add Additional Configurations or to add configurations later. Previously ATF accepted them by being listed in 4h on the Form 1 but no longer accepts this. You can send in this letter later if you would like to change the configuration after the submission or approval process. 4g should contain the serial number of the lower and if there is not a serial number, you should create one that will be engraved it should be unique. 4h will normally be blank, but if there are other markings or numbers on the item, they should be included here. 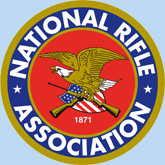 4i should contain “any lawful purpose” unless your state requires for a scientific or experimental purpose – see your state restrictions on NFA firearms. (ATF has updated the requirements for NC – See our North Carolina Gun Trust Lawyer® state information page. 4j Only if you are making a DD. Select if it is a Firearm or explosive. 5 -6 These will be blank for a Gun Trust. 7 Sign your name as trustee. 8 Print or type your name as trustee. 10 Complete your CLEO notification with the Name of the Agency, name and title of the official, and address where the notification was sent. 11- 14 Ignore these for a trust. You will answer these questions for each Responsible Person with the ATF Form 5320.23. At the bottom of page 2 You should sign the document as a trustee “Your name / Trustee” or “Your Name as Trustee” and the date you signed. 15 Is the number of Responsible Persons in the Trust, Generally this is the number of trustees. 16 List up to 8 responsible persons, additional responsible persons can be attached on a separate sheet. 17 Payment. It does not matter who pays the tax stamp, trust, individual, friend. Complete the information requested in 20. If you are looking for instructions on a Form 4 with Sample Form see our How to Fill out an ATF Form 4 for a Gun Trust page. 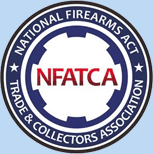 If you are looking for information on moving or taking NFA firearms across state lines you should see our page on How to fill out an ATF Form 20 for a Gun Trust.